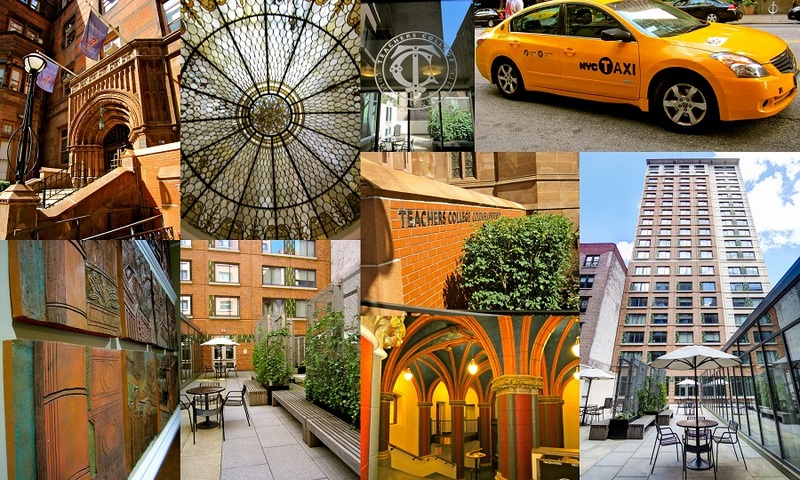 Graduation and Summer Conference Housing within the Office of Residential Services at Teachers College, Columbia University is open to students, parents, staff, faculty and affiliates of the Columbia community. Our mission is to create a welcoming environment by providing unparalleled customer service, creating welcoming accommodations and exceeding your expectations. Information on this page has been updated for the 2019 summer conference housing season. 1) Apply Here. If you do not have an existing login for our portal and do not have a TC UNI, you will need to Register to create an account. We are typically able to respond to applications within one week of submission, beginning March 2019. We will not be able to respond to applications until that time. Guests wishing to make a reservation for dates including Friday, Saturday, or Sunday are required to make the reservation to include all three nights and will be charged accordingly. You can arrive or depart on a weekend but you will be charged the full weekend per our policy. Cancellation and change policies for your specific reservation will be contained in your offer letter. Late check-out is based on availability. Guests interested in a late check-out should call 212-678-3235 at least one business day prior to their departure date. Approved check-outs after 10 am, but before 3 pm will result in a charge of half-day rate, and after 3 pm will result in a charge of a full-day rate. processed on a first-come, first-serve basis. Students in degree-granting programs at Teachers College (i.e. Klingenstein, SPA, AEGIS, INSTEP etc.) are discounted $10 per day during the Summer Conference season. 50% of your housing charge is due within four weeks of receiving your housing offer. The remaining 50% is due 3 weeks prior to check-in for groups, and 2 weeks prior to check-in for individuals. There is no fee to apply for Summer Conference Housing. Your balance cannot be paid with a personal check or in cash. The 50% deposit is non-refundable, even if you decide not to come after making your payment. The link to make a payment will be contained in your offer letter. Guests should check-in at the security desk located at 517 West 121st Street (New Residence Hall), located between Amsterdam Avenue and Broadway. The security desk is staffed 24 hours a day. Guests must present photo ID upon check-in and guests must be a minimum of 18 years with valid photo ID to check in. All keys and guest swipe cards should be returned to the drop-box located at the front desk of New Residence Hall. Iron/ironing board, hangers, coffee pot, television, DVD player, alarm clock, trash bins, cookware utensils. All rooms are provided with a standard cable package. There is no additional charge for this service and to take advantage of this, guests must have a cable-ready television. Each unit is equipped with central air conditioning/heat and a wall-mounted thermostat so that guests may maintain and adjust the temperature to their liking. New York City law requires that heat (if temperature dictates) be provided to tenants through May 31 which means that air-conditioning will not be available until June 1. Every unit has a high-speed Ethernet jack and Wi-Fi to provide Internet access. Internet access requires a login, which will be shared with you in advance. Wi-Fi can also be found in the common spaces on the first floor of your building. A laundry room, open 24 hours, is located in the basement of the North building. Quarters and debit/credit cards are accepted. You can monitor the status of your washer or dryer by visiting this link: www.laundryview.com/tccu. Choose the 517 West 121st Street location to view the status of your laundry. Phones in the room are able to call security and the front desk. Phones can call the security desk and Public Safety, but are not able to receive incoming calls or make outgoing calls from numbers outside of Teachers College. In accordance with New York City's Recycling Program, all of our buildings provide receptacles for recyclable items. These receptacles are located on each floor in the recycling room. Trash chutes are available on each floor of New Residence Hall. Glass, boxes, hazardous materials and/or other large objects should be taken to the appropriate depository in the basement. The Office of Residential Services does not clean occupied rooms. Rooms are cleaned prior to arrival and departure of guests. In the event of an emergency, please call the front desk of your building and someone will assist you. Luggage storage is available in our Residential mailroom located in Whittier Hall at 1230 Amsterdam Ave. This service is only available during regular mailroom hours, unless prior arrangements are made. Regular hours are Monday - Friday 9am - 7pm and Saturday 2pm - 5pm. The mailroom is closed on Sundays. If an early arrival or early departure necessitates luggage storage outside of these times, please call 212-678-3220 or visit the front desk of your building to receive assistance. Lamont, Manhattanville, Medical Center and Harlem campuses. http://transportation.columbia.edu/ to view their schedule and pick-up locations. Guests may check out a guest card from the Office of Residential Services. Guest may request a guest pass to authorize building entry for his/her guest for no more than 21 days in a given semester, 7 days of which may be consecutive. Any person who has been issued a guest pass for 14 days in a given semester will be required to sign in at the desk for any subsequent visits to any Guest. Guest is legally and/or financially responsible for the actions of children under their care. All pets are prohibited in each of our buildings with the exception of documented service and comfort animals. Any animals need approval from the Office of Access before they can be brought into TC Summer Conference Housing rooms. Waterbeds, open-coiled appliances, candles, incense, flammable fluids, halogen lamps, non-artificial trees, gasoline-powered or electric-powered bikes (mopeds) and motorcycles are prohibited. Smoking is prohibited in all Teachers College buildings, associated courtyards and within 50 feet of any Teachers College buildings. In the event of an emergency please contact the front desk of your building. For general inquiries contact the Office of Residential Services. Summer hours are Monday - Thursday 9am - 5pm and Friday 9am - 1pm.